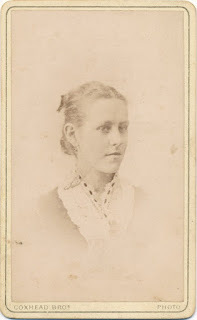 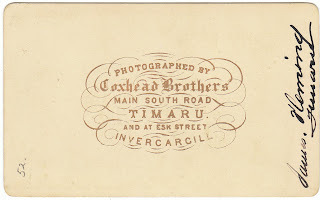 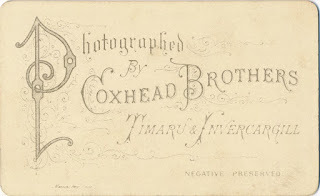 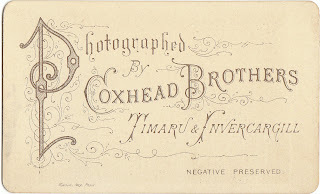 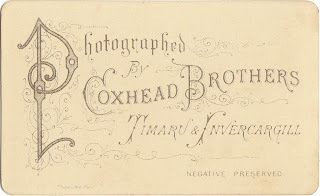 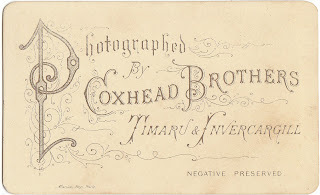 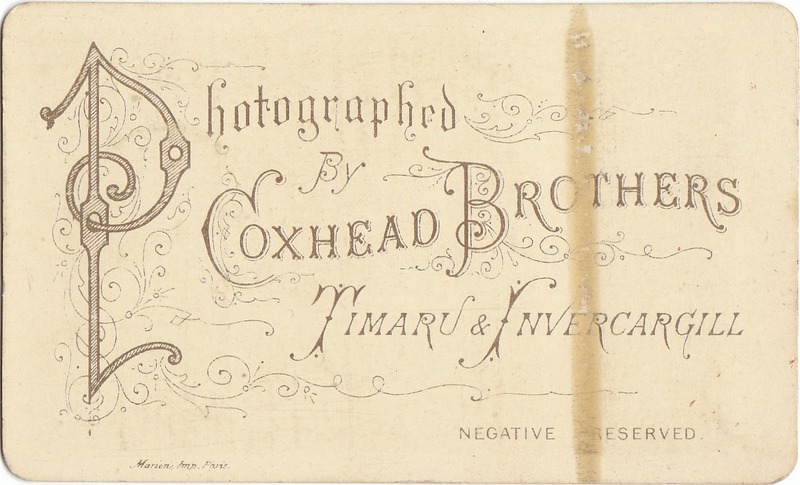 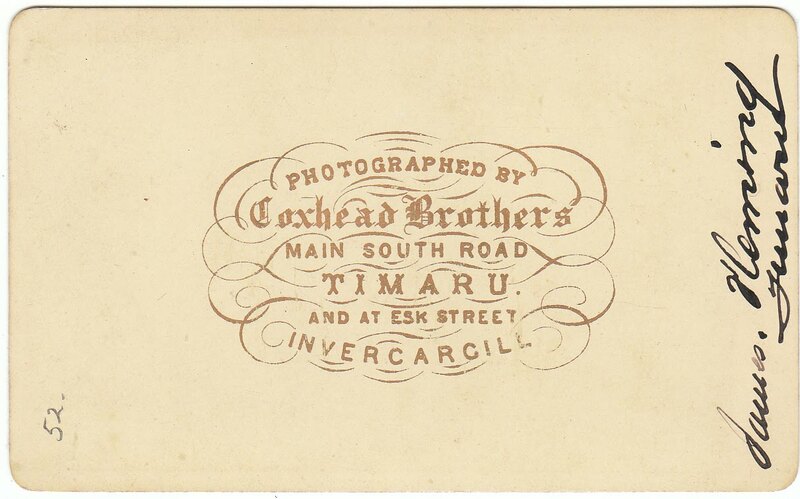 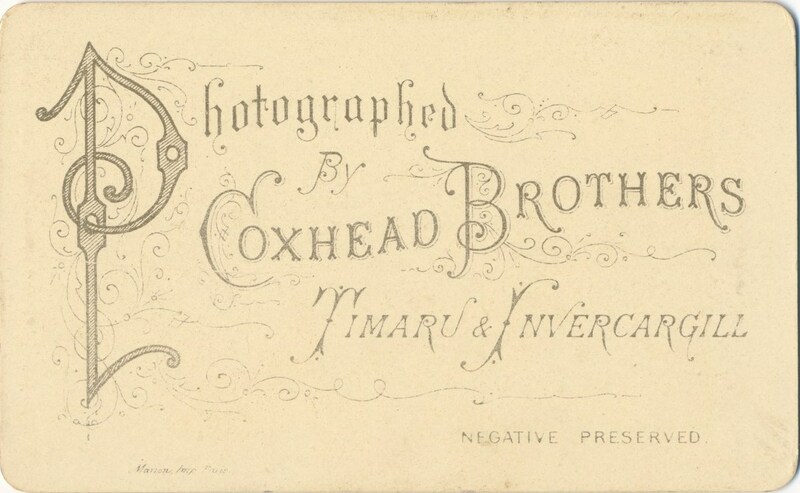 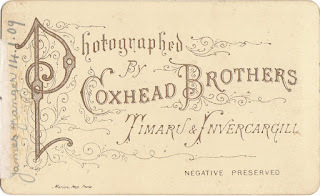 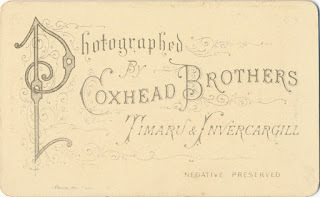 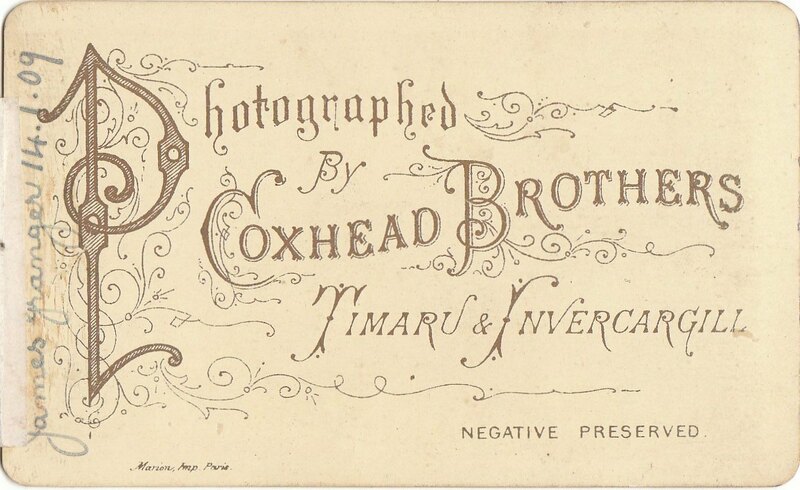 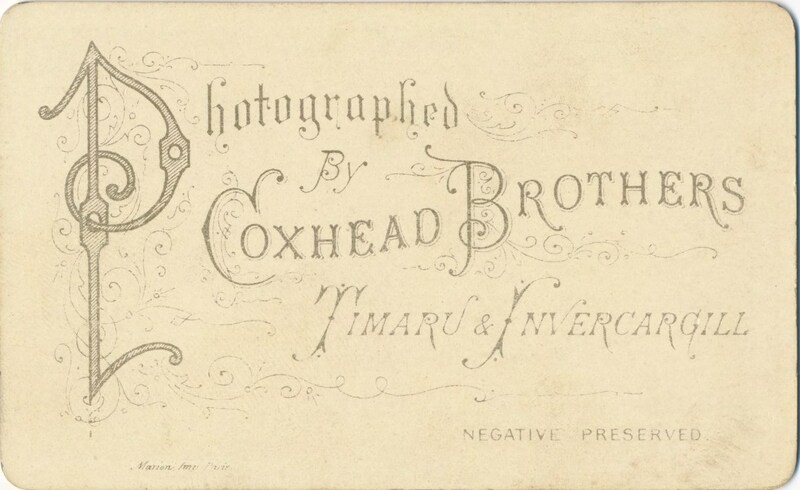 Early New Zealand Photographers: Coxhead Bros. 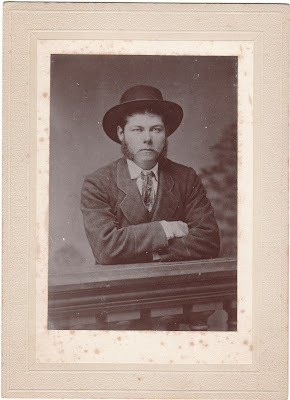 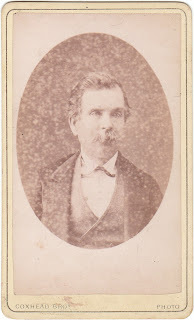 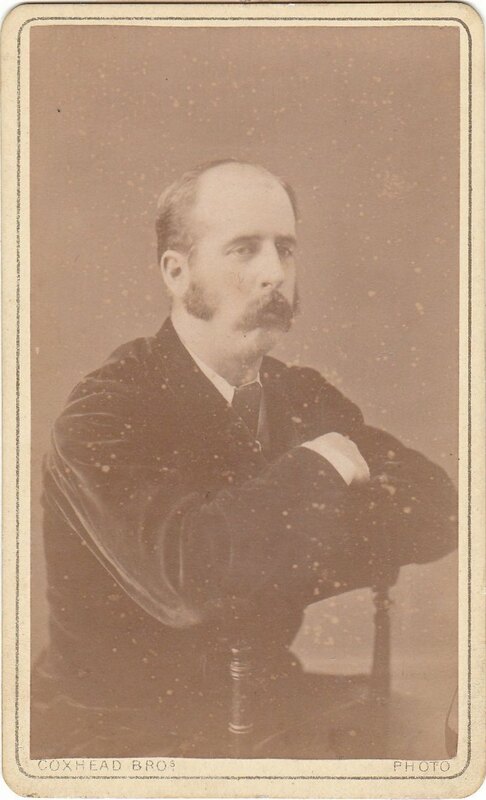 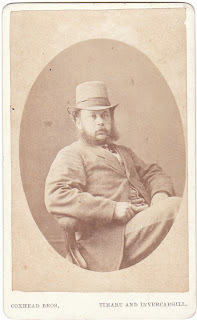 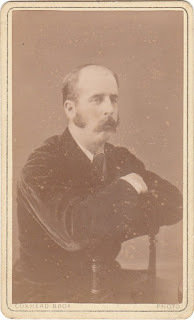 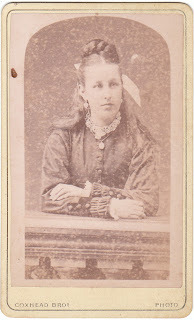 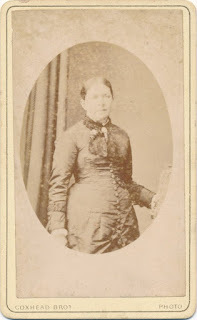 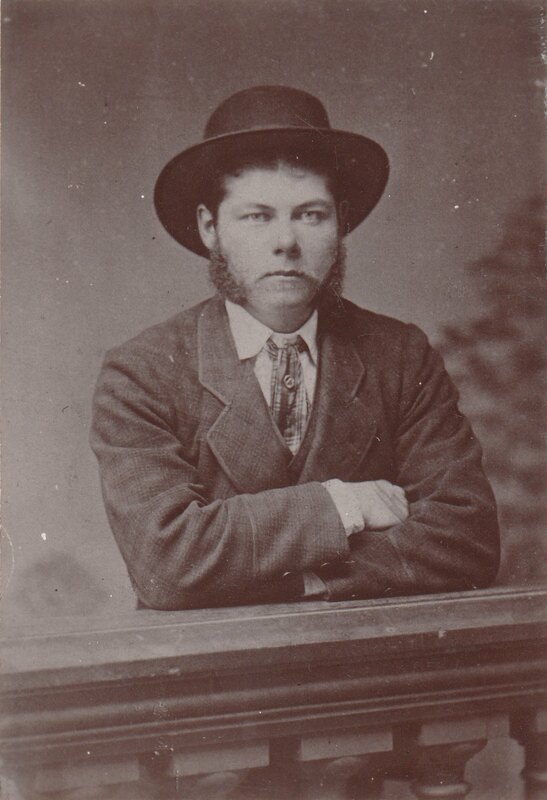 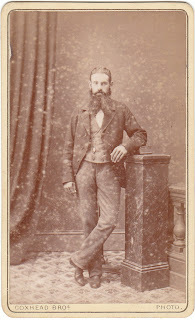 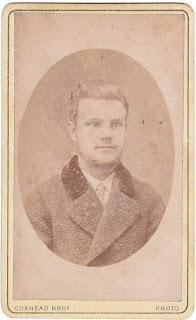 This is a copy made around 1900 of an earlier photograph taken in the late 1870's. 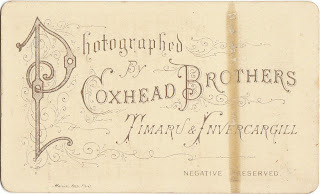 No photographer's name is given however the studio prop Henry Jamieson leans on is shown in an photograph taken in the studio of Coxhead Brothers, Timaru.